Now this is interesting! 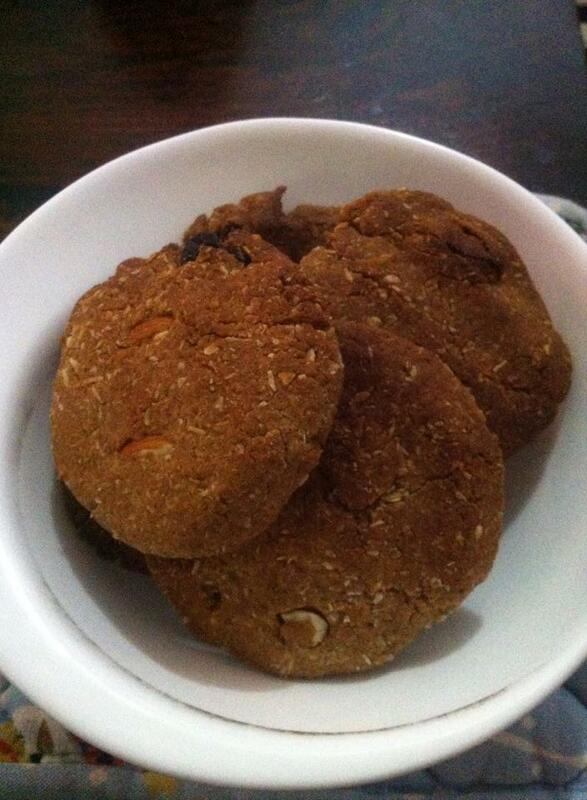 Kuttu Cookies…ever thought of them? If not, they’re delicious little treats perfect for Navratas. With ingredients as per the fasts, these cookies can easily be made at home. Bake them and have a perfect partner for your tea-time. In a bowl take sugar, condensed milk, honey, butter / ghee, crushed cardamom. Whisk the mixture till the sugar is dissolved. Directly sieve in buckwheat flour, baking soda & a pinch of rock salt. Add assorted nuts & desiccated coconut. Mix everything with a spatula or with hand. Then gently gather the whole mixture & form soft dough. Mix everything well, you may add milk to knead the dough if it is too dry. Make small or medium sized balls of dough & flatten them a bit, place the cookies on greased baking tray. Bake cookies in a preheated oven at 200 degree Celsius for 15-20 minutes till the cookies are golden. Remove the cookies, on a wired rack for cooling. Once cooled, serve the cookies hot or store in an airtight jar.